Scott M. Zahler, born in Miami, Florida, is admitted to the State Bar of Georgia and the Florida Bar. He earned his Bachelor of Arts Degree from Brown University. He received his Juris Doctor from the University of Miami School of Law where he was named an Outstanding Senior and received the James S. Mofsky Book Award for outstanding service. Scott was also the founding President of the law school’s chapter of Association of Trial Lawyers of America, a Vice President of the Moot Court Board where he was named the Most Outstanding Member, a member of a National Mock Trial Team, and elected to the Society of Bar and Gavel, the school’s highest honorary organization. He also served as a research, writing and appellate advocacy advisor for tutorial students. Scott is a member of the Atlanta Bar Association where he served on the Board of Directors of the Atlanta Council of Younger Lawyers and as Chair of the Board’s seminars on plaintiffs’ cases and trial practice, the State Bar of Georgia where he served as the Chair of the Youth Judicial Program, Vice Chair of the High School Mock Trial Subcommittee on Development and the Director of the Brief Writing Contest for the Special Projects Task Force, and the American Bar Association where he has served on the National Awards of Achievement Committee. Scott also served as the Co-Chair of the Brown Alumni Schools Committee for Georgia and as Chair. Scott also served on the Board of Directors of the State YMCA of Georgia. 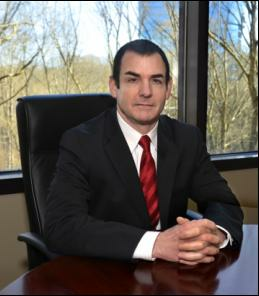 Scott’s law practice emphasizes civil litigation for plaintiffs including personal injury, wrongful death, products liability, premises liability, medical malpractice, nursing home neglect and abuse, torts, class actions, business, commercial and construction litigation, insurance law and contract disputes.